Kerry Coiste na nÓg held their Annual General Meeting in the Rose Hotel on Tuesday 27th of November. As always at the AGM delegates wait with bated breathe for the announcement of Club of the Year. Chairperson of Kerry Coiste na nÓg Tom Keane, in his final duty as Chairperson, announced Glenflesk as the Lee Strand Kerry Coiste na nÓg Club of the Year. 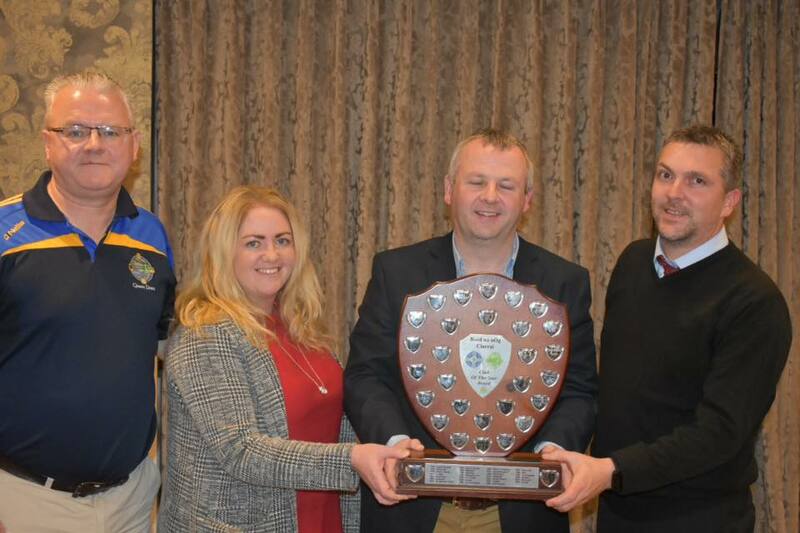 Glenflesk were worthy winners of Club of the Year as they have been extremely supportive of Kerry Coiste na nÓg throughout 2018. Glenflesk supported Kerry Coiste na nÓg with the provision of their facilities for games, consistency of the provision of referees for our games, disciplinary record and the provision of competitive games in a proper environment for their underage players. Congratulations and Thanks to all involved in Glenflesk Coiste na nÓg.